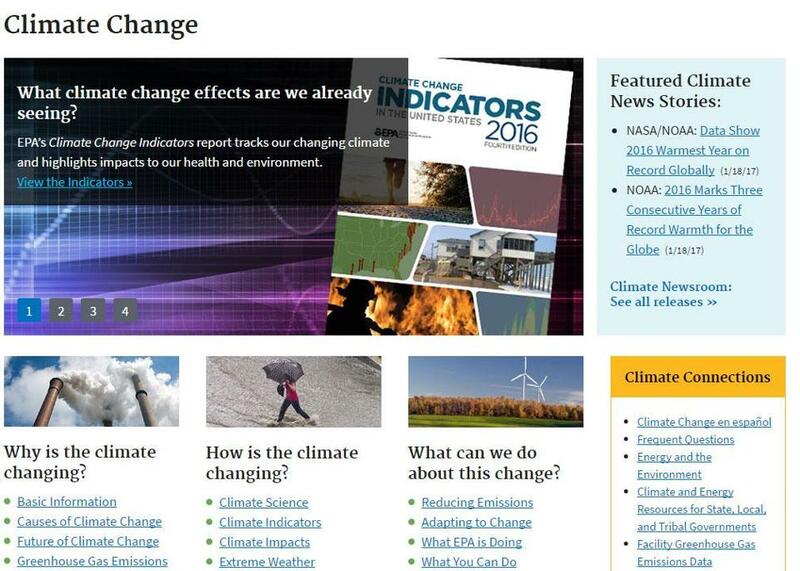 A screenshot of the climatechangedata.boston.gov website. Soon after President Trump took office, the Environmental Protection Agency began removing links on its website to data that reflected years of research into the causes of climate change. Now, Boston and many other cities are returning the information to the public sphere through municipal websites, part of a revolt against Trump’s efforts to overturn policies designed to curb the greenhouse gases causing the planet to warm. The new site, climatechangedata.boston.gov, reflects the city’s increasingly active response to Trump’s approach to climate change. After President Trump announced this month he intends to withdraw the United States from the historic Paris climate accord, Mayor Martin J. Walsh joined hundreds of other mayors in a pledge to reduce carbon emissions through local resolutions and coordinated environmental policies. Walsh even bathed City Hall in green light in defiance, reflecting Boston’s solidarity with more than 190 nations that pledged two years ago in Paris to fight global warming. 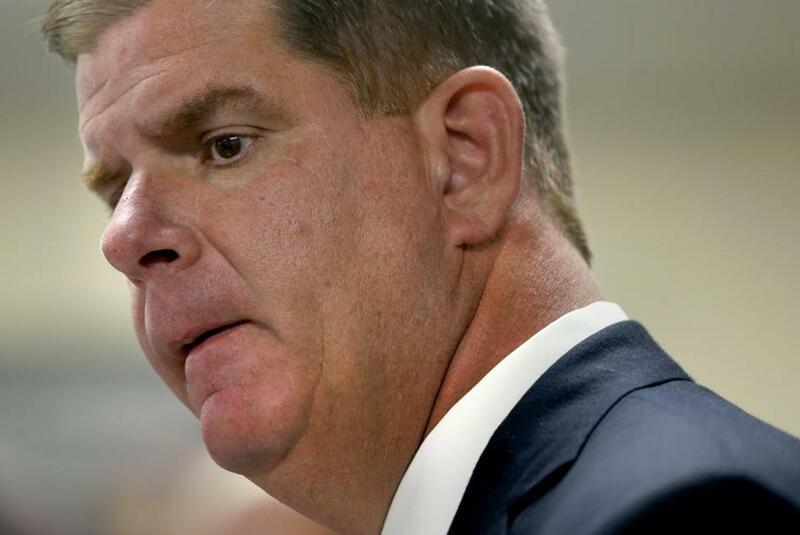 Publishing the climate data was “important to show Boston residents that we take the science of climate change seriously,” said Boston Mayor Martin J. Walsh. The city’s decision to publish the climate data was “important to show Boston residents that we take the science of climate change seriously,” Walsh said in a prepared statement. That answer, as well as other detailed responses to similar questions, can now be found on the Boston site as well as those sponsored by other cities. “Here, in Boston, we know climate change is real and we will continue to take action to fight it,” Boston city officials wrote on the site. Boston is one of 14 cities to post the data on its website, following the lead of Chicago. “It is inspiring to see mayors from across the country stand up for the environment through the preservation of climate information data deleted from the Web by the Trump administration,” Chicago Mayor Rahm Emanuel said in a prepared statement. “Making climate change research widely available underscores that facts cannot be disputed and science cannot be erased,” he said. EPA officials didn’t respond to requests for comment. In April, the EPA announced that its website would be “undergoing changes” to reflect the administration’s priorities. Among the information deleted were the agency’s responses to previous statements by Scott Pruitt before Trump appointed him administrator. Pruitt, who was Oklahoma’s attorney general, has long opposed action to address climate change. Trump has called climate change “a hoax” and has proposed cutting the EPA’s budget next year by 31 percent — more than any other federal agency. Other pages that disappeared included data about carbon emissions in states and cities, the impact of such emissions on different demographic groups, and details about the Obama administration’s Clean Power Plan, its signature climate program. The plan, which Pruitt seeks to end, aimed to reduce emissions from power plants. The agency noted in April it would maintain a link to information that was on the site before Trump’s inauguration, and the main EPA page now includes a link to a “snapshot” of the site from Jan. 19. Among the links that haven’t been updated is an agency Web page called “A Student’s Guide to Global Climate Change,” which used to have a prominent spot on the EPA site. The page featured educational videos about climate science and allowed students to calculate their own carbon footprint. That link remains broken, even on the rebuilt EPA site on Boston’s website.